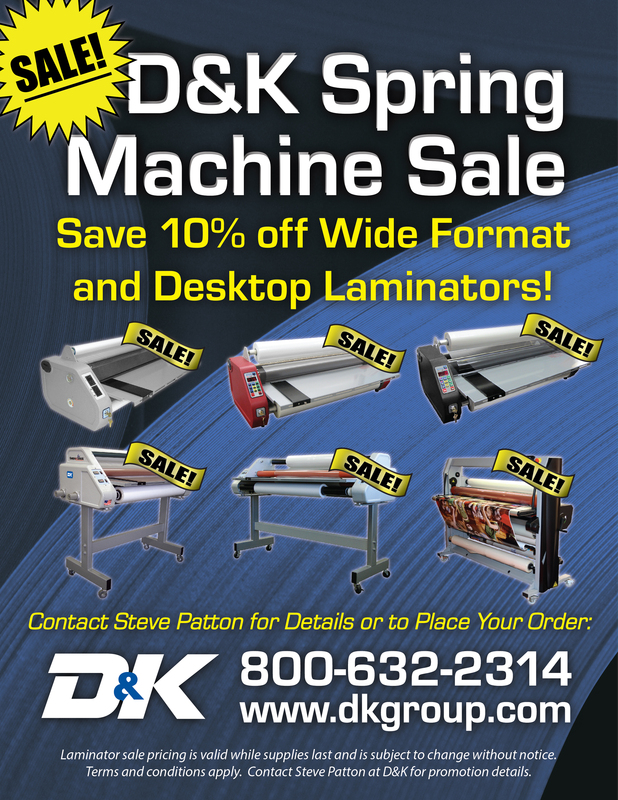 D&K is offering spring equipment savings with 10% off all wide format and desktop laminators. Contact Steve Patton for promotion details and to place your laminator order today. Click here to download a copy of the D&K Spring Machine Sale flyer.